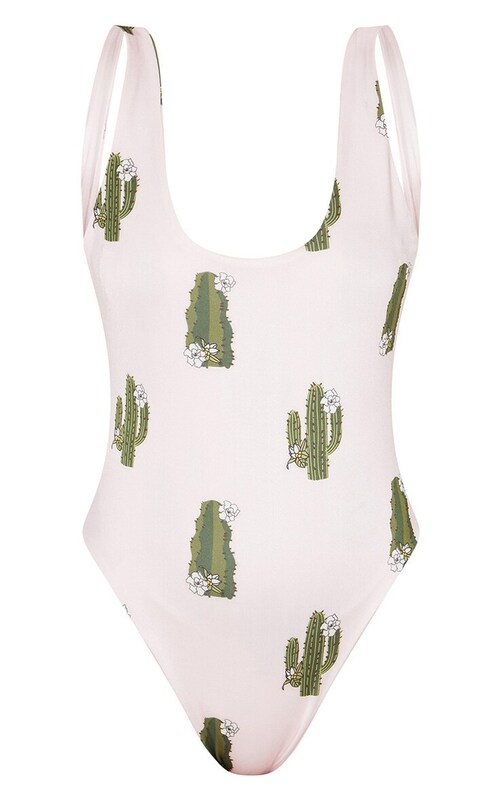 Hello to all the cactus lovers out there, this swimsuit is the one for you! 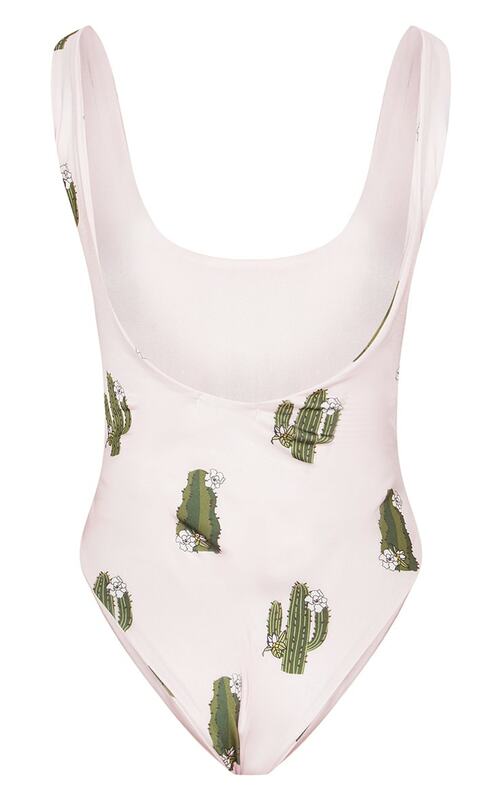 Featuring a baby pink material with a cactus print, scoop neck and low open back, what's not to love? Team with sandals or sliders for that cute poolside look.